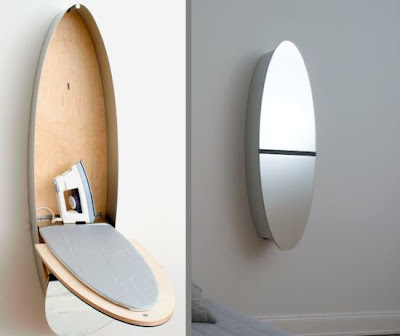 Creative and modern mirror designs from all over the world. 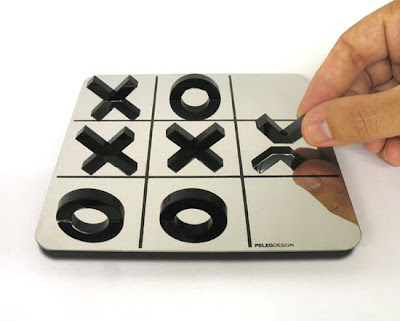 Mirror Tictactoe: "Designed by Shahar Peleg, Mirror Tictactoe cleverly supplies only half X's and O's to play with, which become "whole" once they're placed on the board, thanks to their reflections". 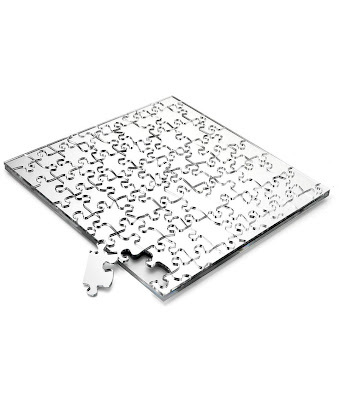 Mirror Puzzle: "Puzzles can be a lot of fun to assemble, but after all the excitement of putting it together, the picture is always the same. 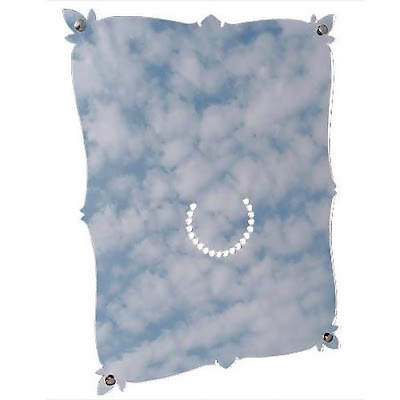 Enter the Mirror Puzzle: Instead of an unchanging static image, the Mirror Puzzle displays an image of whatever happens to be reflected at the moment". 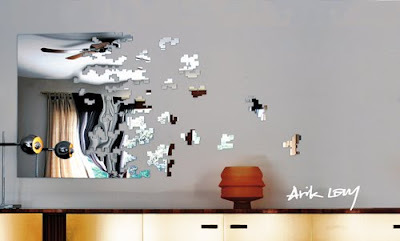 Block Mirror: Designed by UK product designer Soner Ozenc, this mirror consists of thirteen interlocking mirrored acrylic panels, which can be arranged on your wall to form a rectangle, or placed apart as their individual puzzle blocks. 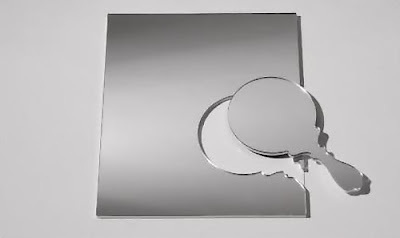 Self-Portrait Mirrors: These self-portrait mirrors are designed by Jeannie Choe and Steven Tomlinson. 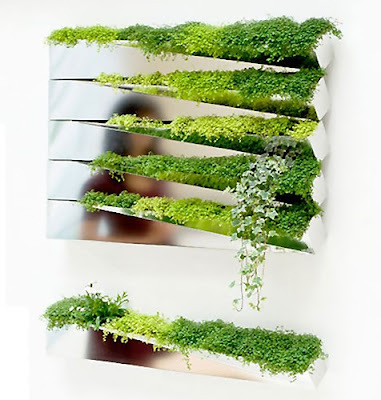 Creative Wall Decoration Mirror: This creative wall decoration mirrorcomes from h2o Architects, it integrates the planter with the mirror. 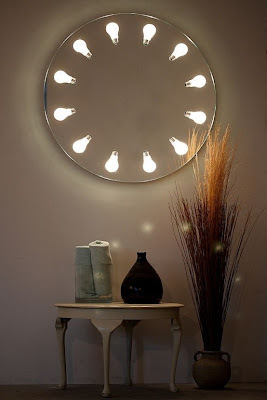 Round Wall Mirror: This unusual mirror features 12 illuminated half-bulbs. 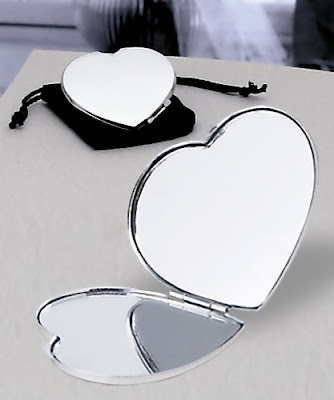 Jump Out Mirror: It consists of removable hand mirror in mirror. 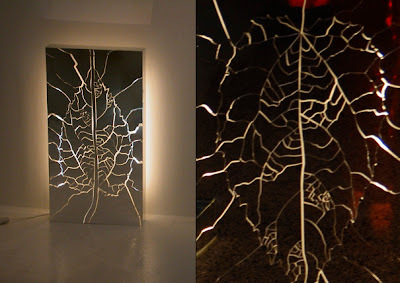 Broken Mirror: It has unusual light patterns that add extra personality to a room. 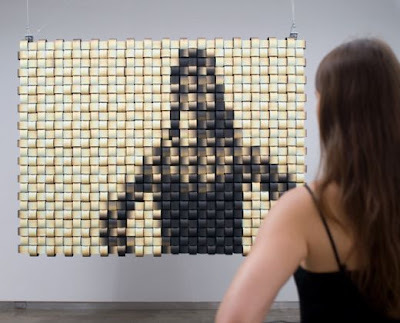 Weave Mirror: "The Weave Mirror uses 768 individual pieces which are woven together into a grid. 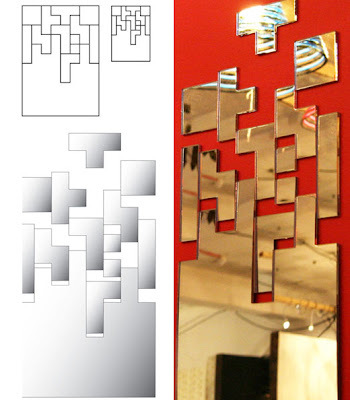 As passersby walk in front of the work, motors adjust the woven pieces to change the greyscale intensity of that particular X/Y coordinate on the grid. 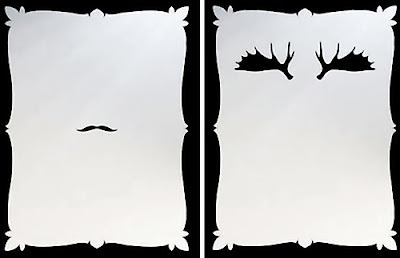 When you step back, it forms the illusion of a real-time mirror."